So Bowen was the lucky duck who got to attend the Jaguar I-Pace launch last year and he came back all smiles. Needless to say, I locked in a week-long drive the first moment possible and I’ve got the same smile now too. This is a great car. 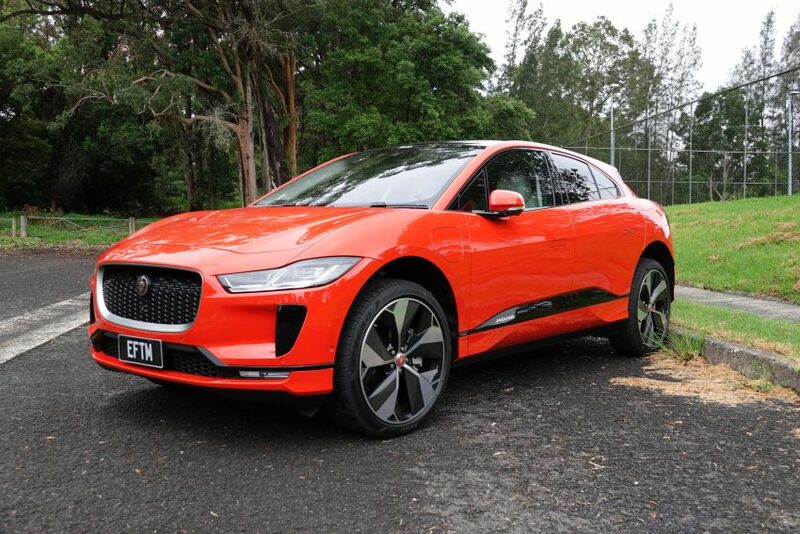 Bowen’s full review takes you through all the ins and outs and dynamics of the beast, for me, this week was about working out if Jaguar had created a car just because everyone needs an Electric Vehicle (EV) – or was this a genuine glimpse into the future of motoring. Rewind to December 2014, just over four years ago, when I first drove the Tesla Model S. I said then we had to rethink everything about cars. That’s true still today. 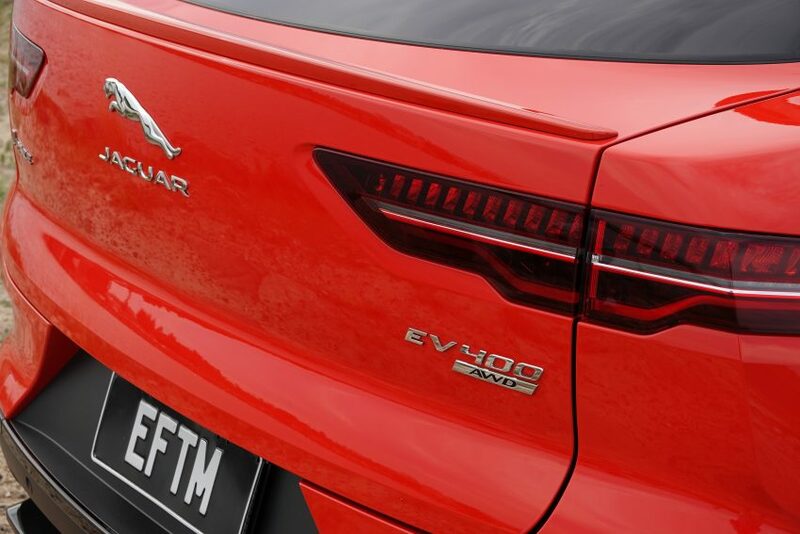 Most people haven’t yet experienced the Electric power, drive, sound and all round experience – so while to some it seems companies like Jag are coming late to the party, in fact the party hasn’t even begun. Let me first address the big claim that every Tesla Owner is throwing at me on Twitter and wherever possible – Range. I’ve got relatives in Young NSW, Narrandera NSW, Walcha Road NSW and in QLD – so I love a road trip. I’ve also driven the Tesla Model X from Brisbane to Adelaide – so don’t @ me with your narky comments because I know what I’m talking about here. 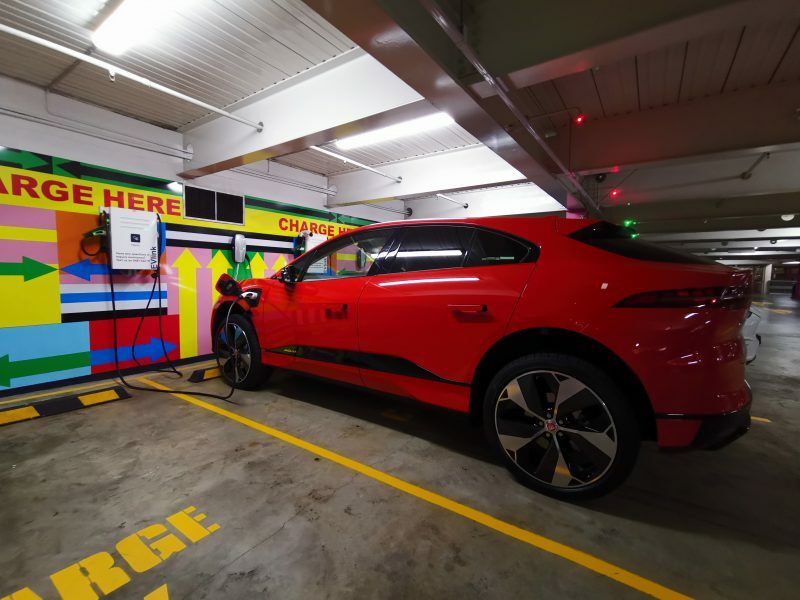 The Jaguar I-Pace has plenty good range, it’s just not supported by anywhere near the charging infrastructure needed to make any electric car – other than Tesla – a viable option for your road trip. 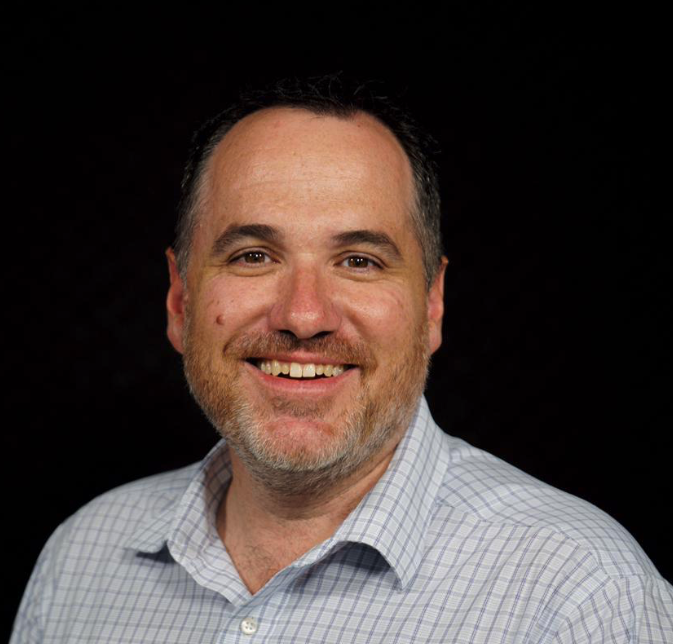 Bowen addressed some of this in his recent chat with Jet Charge Director Tim Washington. Bottom line, yep – Tesla has you covered if you’re doing road trips day after day. For me, I’d just take the Commodore. 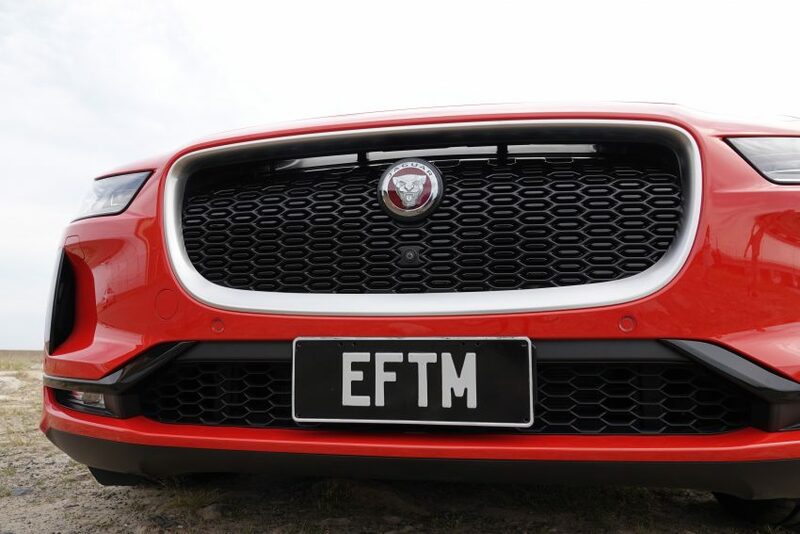 Yep, like most Aussie families, we have two cars – so if we had a Jag in the driveway, for the longer trips – for now, we’d take the Commodore. 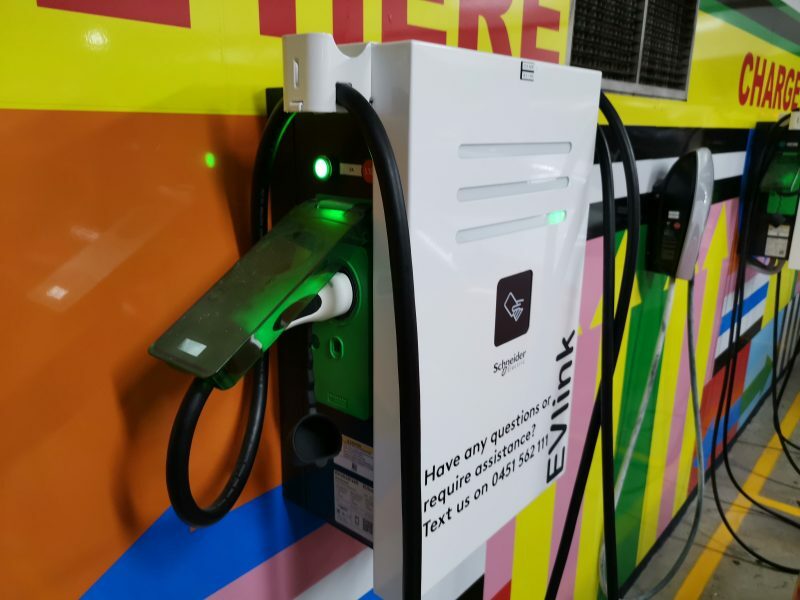 Not ideal, but fast forward a bit and you’ll realise this whole Highway Charge thing is a problem being solved – you just need to accept that today if you’re jumping into a non-Tesla EV. Around town? A Breeze. I’ve driven the I-Pace to the city a bunch of times, and around the local area as normal and just plugging it in at home on a shockingly slow power point based trickle charge has kept me well above any kind of battery anxiety. Then we took a punt – what about the Central Coast? 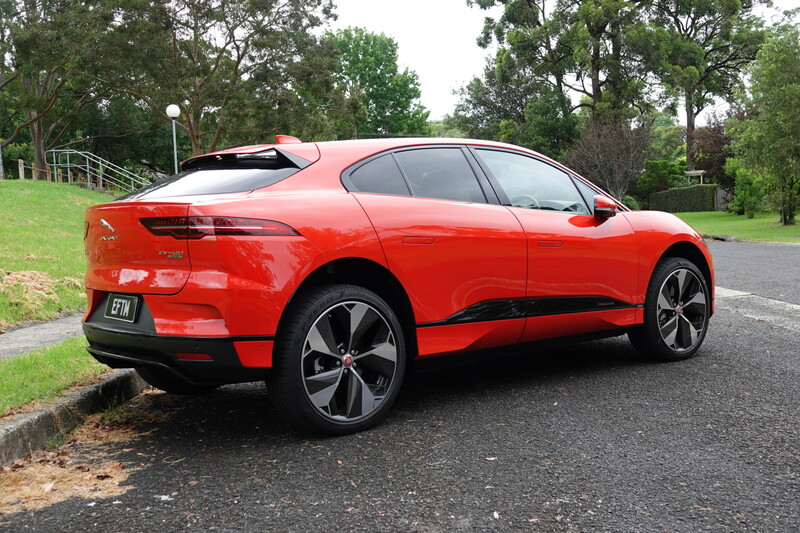 No problems, the range estimation in the I-Pace was spot on almost to the kilometre, so while I certainly was a touch worried, I had no reason to be. And getting down to close to 5% made me realise I would need more than a trickle charge – so, I went for a look. Using the ChargeFox app, I found a couple of reasonable locations for charging. IKEA Rhodes has one, as does the Cherrybrook local shops. Bit of shopping, lunch, and we’re doing a lot more than a trickle charge. 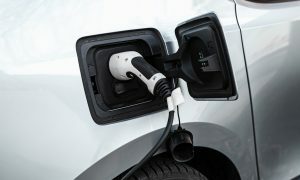 But in reality, I’d have installed at home a Jet Charge wall charger when I buy the Jag – and every night I’d be keeping the I-Pace up to top charge. You see, the reality is we all come home. We all sleep, and that’s when your car charges. No, I can’t visit my Mum up in the bush for fear of lengthy charging times, but – I’ve no doubt that time will come. So is it really better than a Tesla? I’m lucky to be driving a top-spec First Edition HSE – swinging the wallet at around $163,000 about the same price as the cheapest Tesla Model S.
Cut some corners on options and I’m down at $119,000. Am I happy with 18inch wheels? No Head Up Display? Probably not. 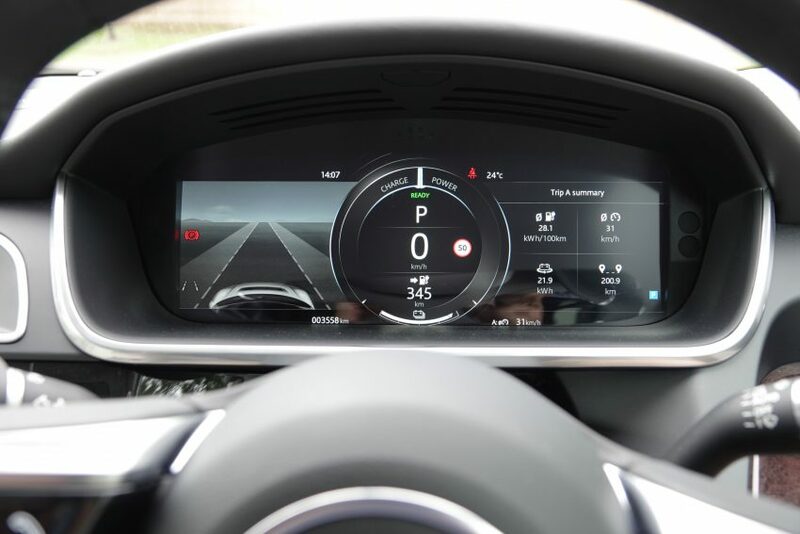 But hey – Tesla don’t even have the Head Up Display as an option. 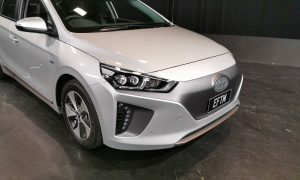 The advanced Matrix Headlights on this car are next level – again, these are the little things that you just don’t get if you’re not buying from an established car company. Jaguar, like many – have been working on these kinds of incremental advances for years, and Once you see them it’s hard not to appreciate them. Inside and outside the fit and finish are immaculate. Panel Gaps, seat lining, the whole layout is excellent, and without fault. I was in a Mercedes S Class recently, and again the interior just reminded me of how much was lacking from the Model S in terms of real Luxury – the Jag isn’t at that level, but it’s still a class or three above Tesla. And the layout is, well, traditional – and I like that. 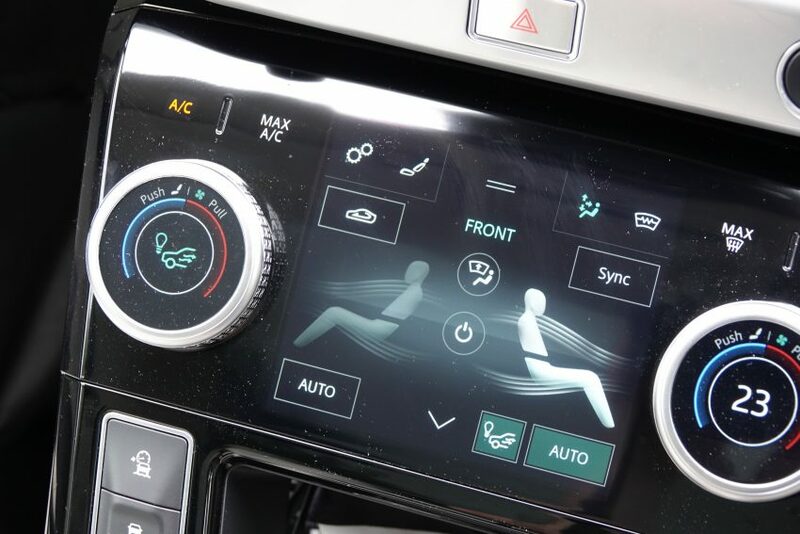 I know it’s “cool” to have a huge touch screen computer for every function – but when you’re driving around and want to knock a few degrees off the temp, it’s nice to just reach down to a dial, and not have to look to see if you’re pressing the right part of the screen. Would it be better to have more range? Maybe – but it’s honestly not a deal breaker for me. If I was to drive to the city every day, I’d get 3-4 days driving in before needing a full charge. Thing is, it’s not like Petrol – you get a top up every night, not when you’re running low. There most certainly is. 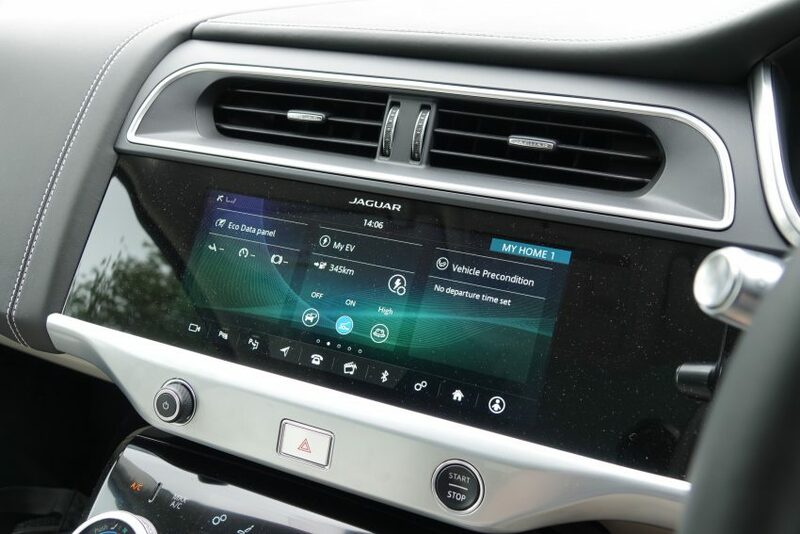 Apple CarPlay and Android Auto are welcome additions to the Jaguar infotainment system, however, what’s missing is some sort of decent computing power. The system lags and is slow to respond to almost every touch request. Remarkably you get quite used to this, and learn to live with it – but for a car of this price, it’s something that shouldn’t be expected. 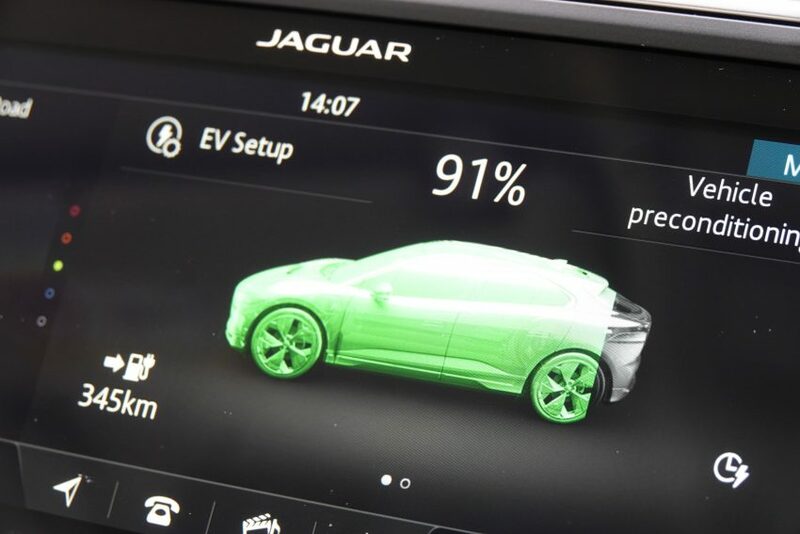 If Jaguar are going to back their “Over the air” software update claims, this is issue #1 to address. At $119,000 it’s way out of my price consideration sadly. So there’s not likely to be one in my near future. In reality – what I’m seeing is a realisation that perhaps it’s time to cancel my Model 3 reservation. 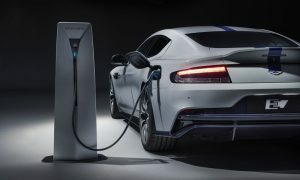 I’m a bit sick of waiting for a car that is really now unlikely to be the $60,000 car we’d hoped, instead I think I’m better playing the longer waiting game for Jag or more likely Mercedes and BMW to bring out electric cars in the sub $100,000 range.